Power steering, Alloy wheels, Air conditioning, Leather seats, Electric windows, Electric door mirrors, Front Fog Lamps, Remote central locking, Radio, CD Player, Immobiliser, Alarm, Airbags. 2 seats. 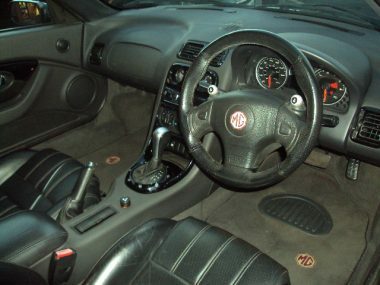 This MG TF has had a full professional conversion to Stepspeed Automatic using a brand new Gearbox. 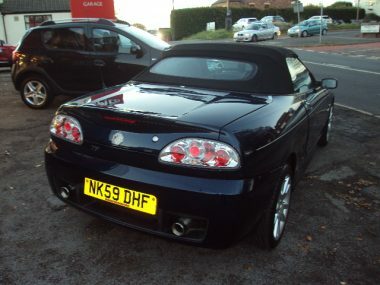 It had over £3541.00 spent, including new Stainless Steel Exhaust, “Lexus” style rear lights and stainless steel coolant pipes. 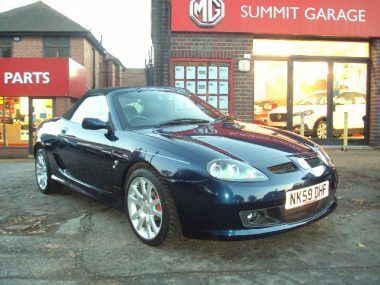 This is the one and only late model MG TF that has been converted to automatic (so far as we know!). So, if you are after something a bit special, or only drive automatic, then this may be the MG for you!